This Murloc will rush its opponents. The Hearthstone: Rise of Shadows card reveal season is going on in full force, and another card has been revealed this morning in the Chinese boards of Huya. Hench-Clan Hogsteed is a neutral Common Beast minion that costs two mana and has 2/1 stats. It has Rush and a Deathrattle that summons a 1/1 Murloc on the board for its owner. The card makes it feel like first the Murloc’s boar dies, then they’re left alone to fight their battle. Rush cards are great for removal, especially if you get to keep some kind of board presence after they are sacrificed to kill an opponent’s minion. Of course, a 1/1 minion is far from great, but it can be very useful for early game removals and for classes that can sometimes build decks around token minions, such as Paladin and Druid. 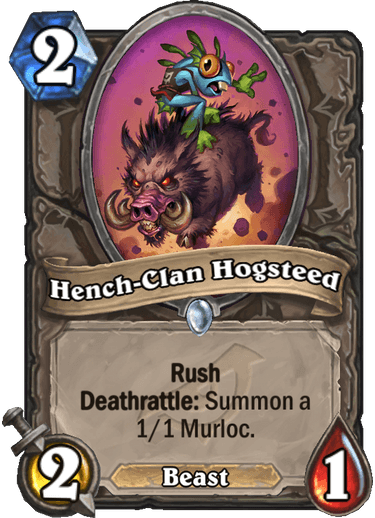 Players will see Hench-Clan Hogsteed in Hearthstone once the Rise of Shadows expansion releases by April 9. Those who want a guarantee discount when buying card packs can take advantage of a 50-pack pre-sale bundle that’s available now for $49.99 and an 80-pack for $79.99. 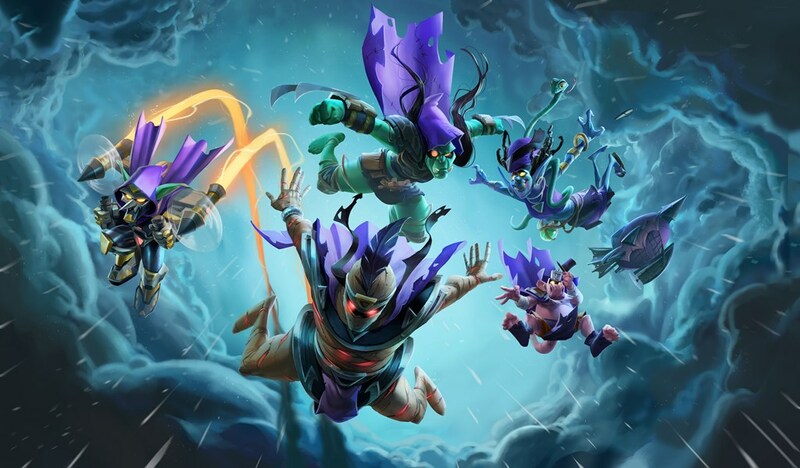 Players will be able to open them in special events that will lead up to the Rise of Shadows release or when the expansion is live in all regions in April.